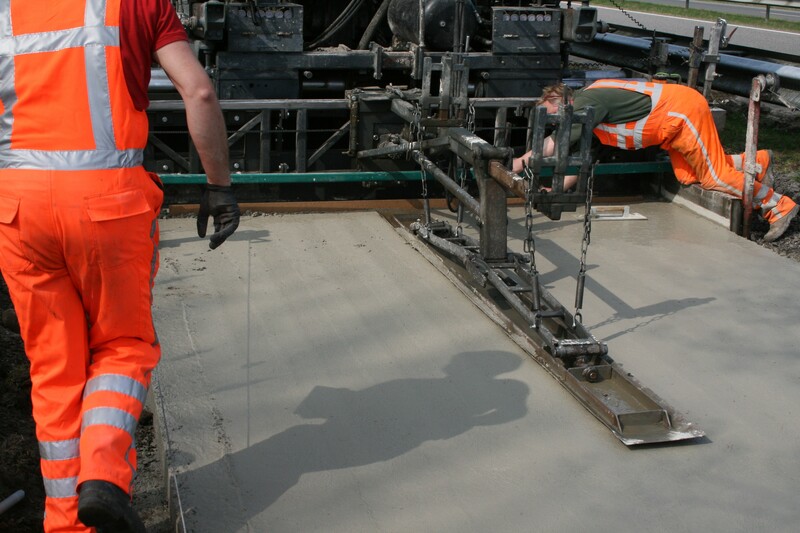 Thin concrete overlays have become a cost-effective and durable option for the repair of major roadways and small-scale paving projects around the world. 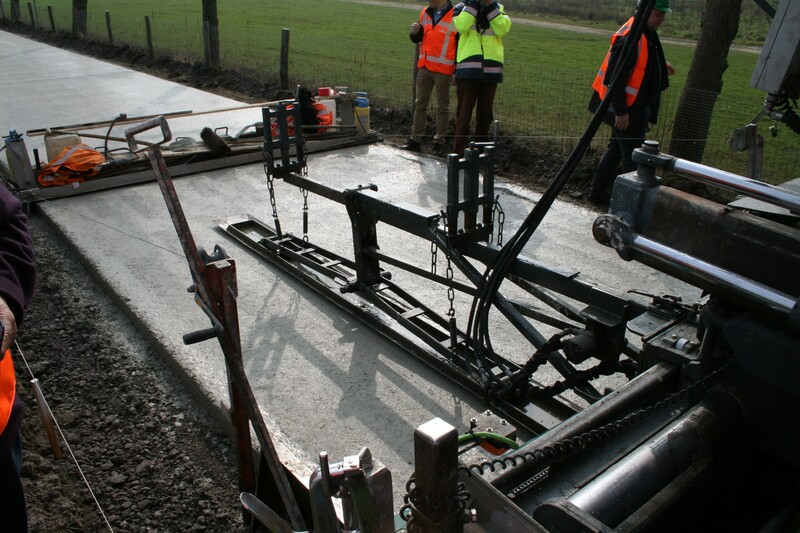 Paving contractor Schagen Infra B.V. of Hasselt, Netherlands, chose to place concrete in the 700 m (2,300 ft) long bicycle lane project along Highway 355 between Leeuwarden and Tytsjerk, Netherlands in the Spring of 2018, allowing it to be open for bicycle traffic in May. 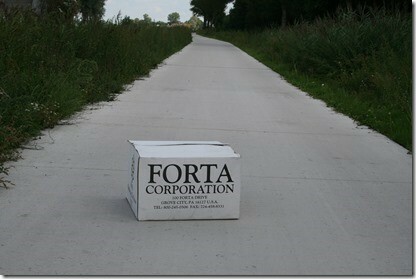 Also, to further toughen the thin concrete, reduce cracking, and add long-term durability, FORTA-FERRO synthetic macro fibers were used throughout. 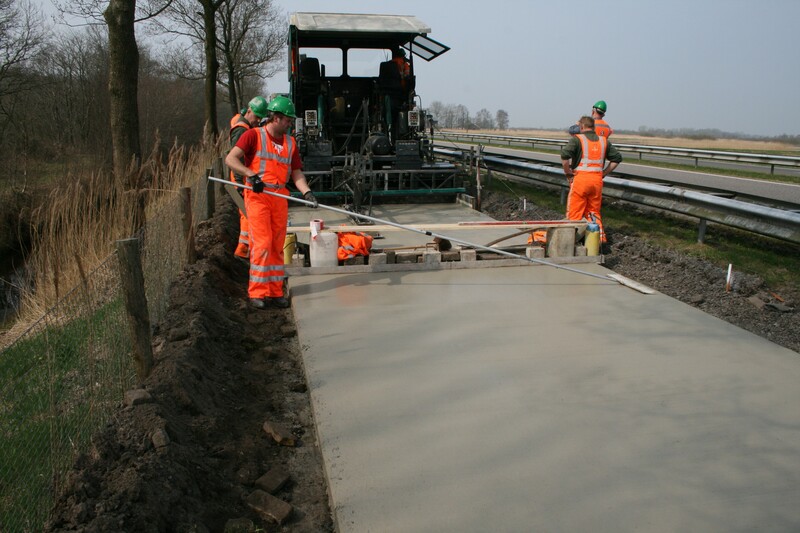 Based on different levels of deterioration of the existing paths, the new thin concrete overlay was constructed in two segments: 84 m (275 ft) of 10 cm (4 in) thick concrete reinforced with 2 kg/cu m (3.3 lb/cu yd) of FORTA-FERRO, and 716 m (2,350 ft) of 12 cm (5 in) thick concrete with 3 kg/cu m (5 lb/cu yd) of fiber. 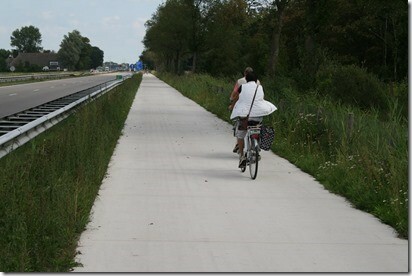 The use of the three-dimensional macro fibers allowed for a reduction of pathway joints to provide a smooth and durable riding surface for the cyclists. 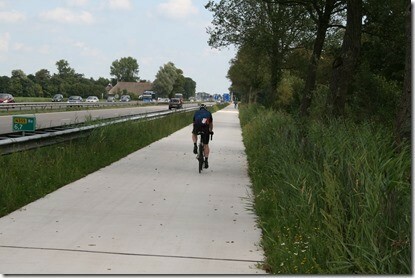 In the future, similar fiber-reinforced concrete overlay repairs will be performed for bicycle paths in Groningen, Drenthe, and Fryslan provinces as well.